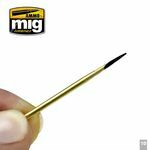 This new addition to our catalogue allows miniaturists to carry out a multitude of assembly and weathering tasks. 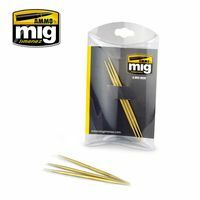 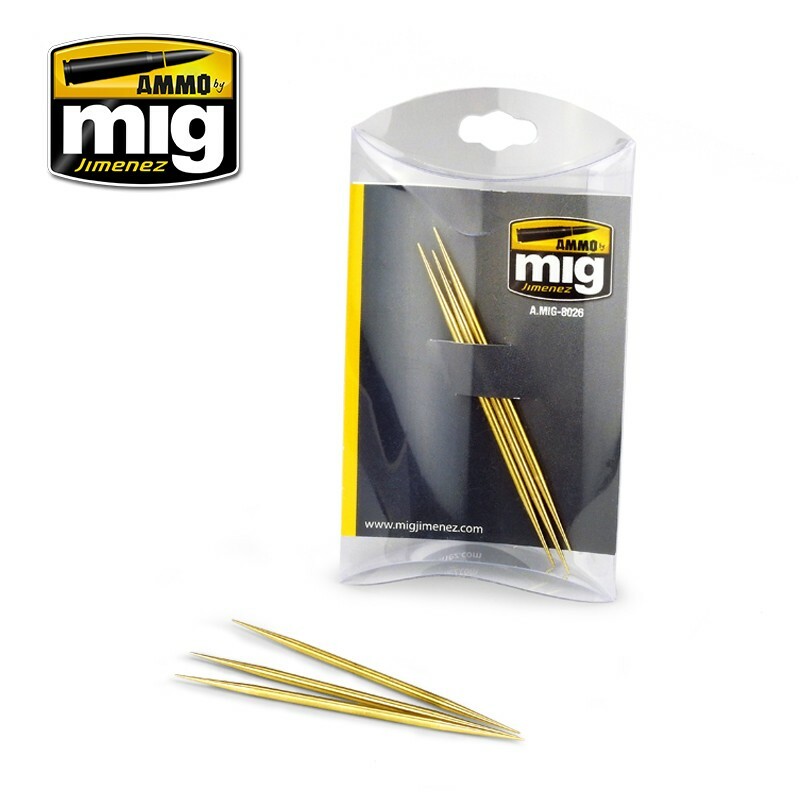 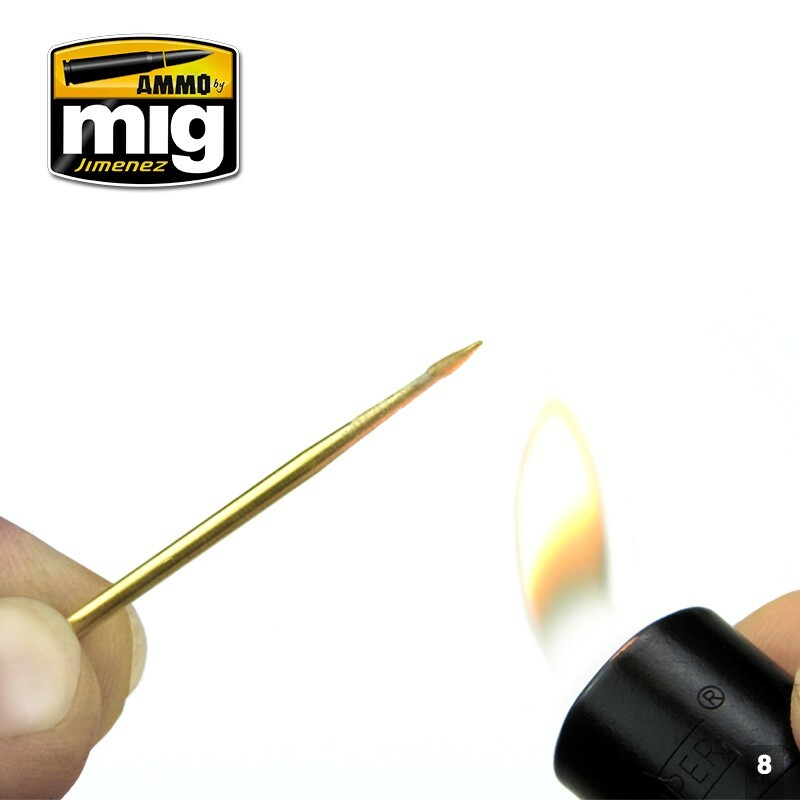 It is a small tool similar in appearance to a wooden toothpick but made of high-quality machined brass. 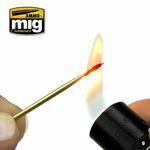 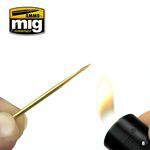 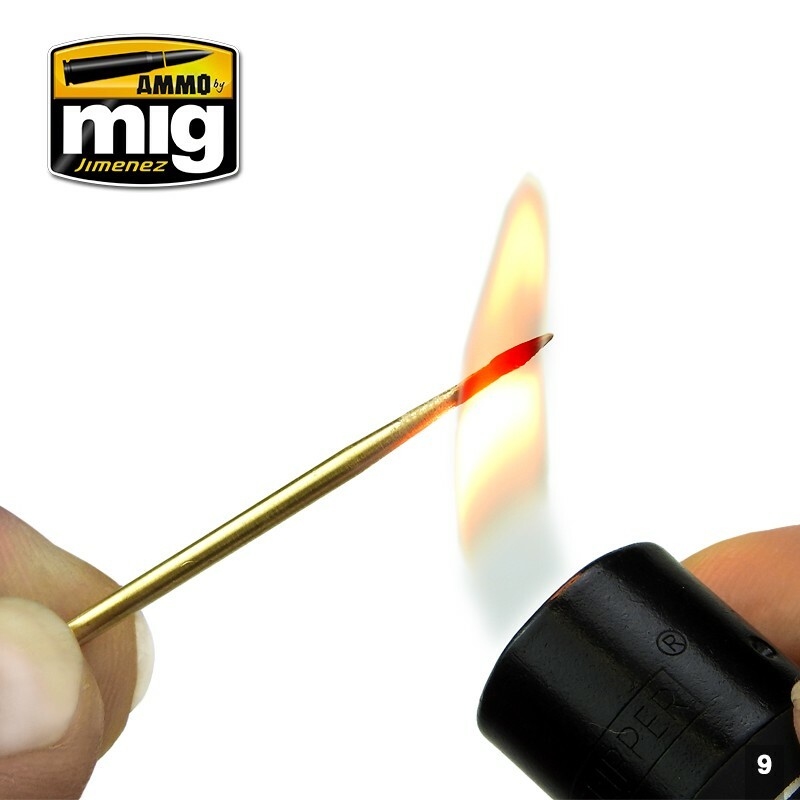 This versatile tool serves as a perfect cyanoacrylate applicator which can be easily cleaned after each use by simply burning the glue which disappears completely, leaving it ready for each new use. 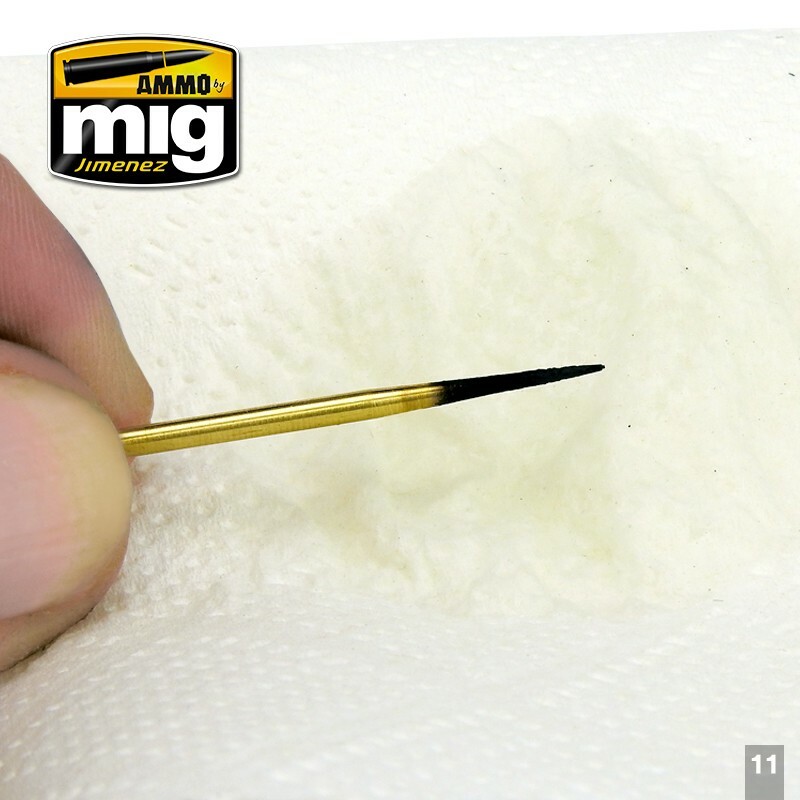 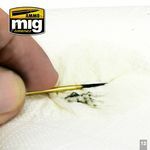 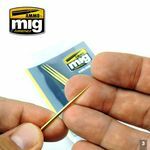 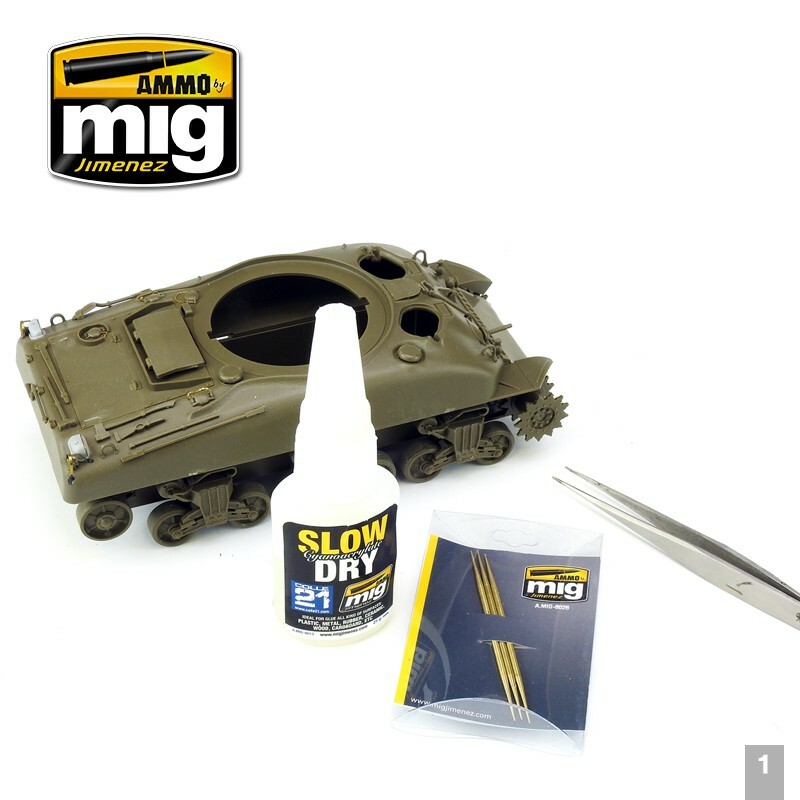 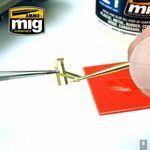 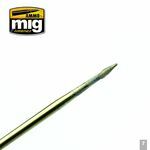 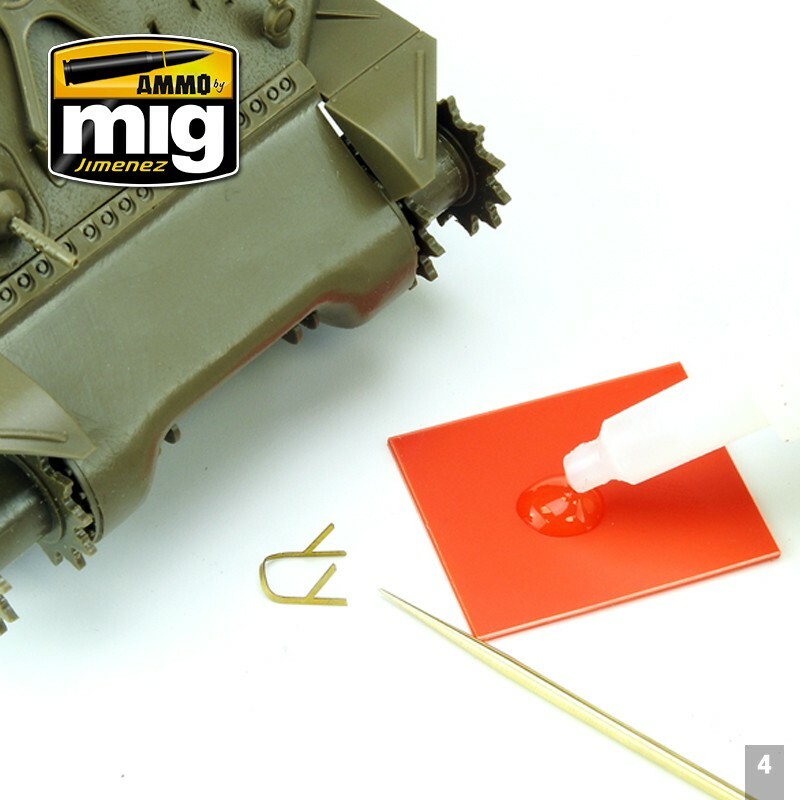 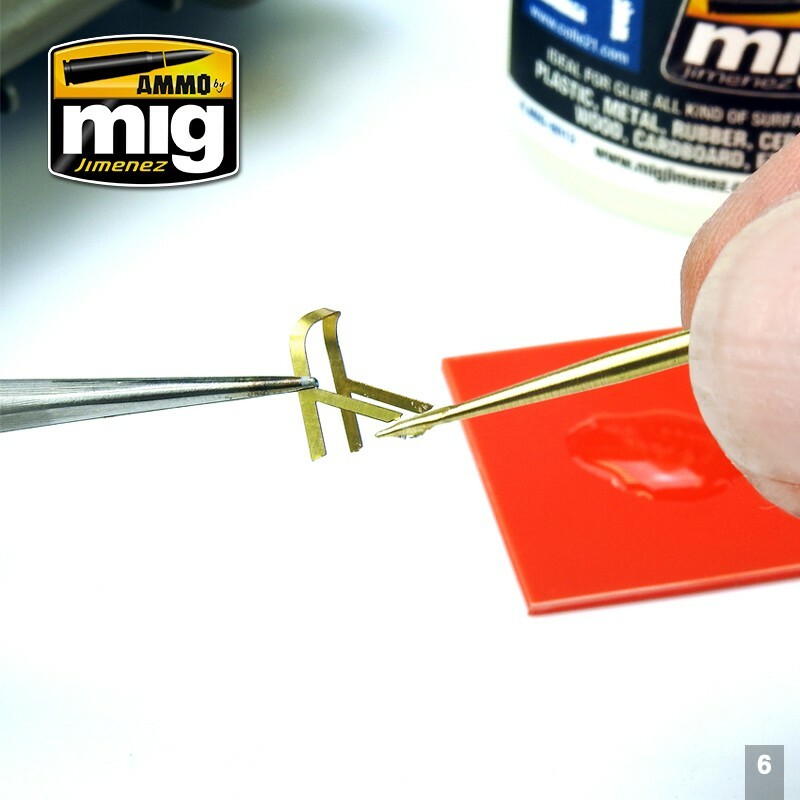 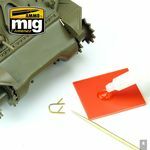 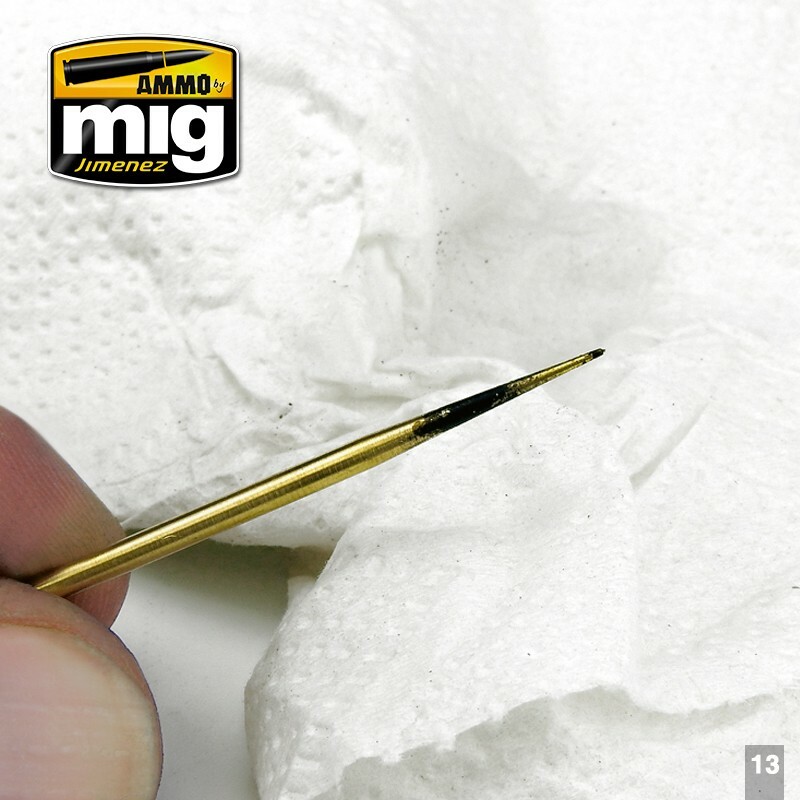 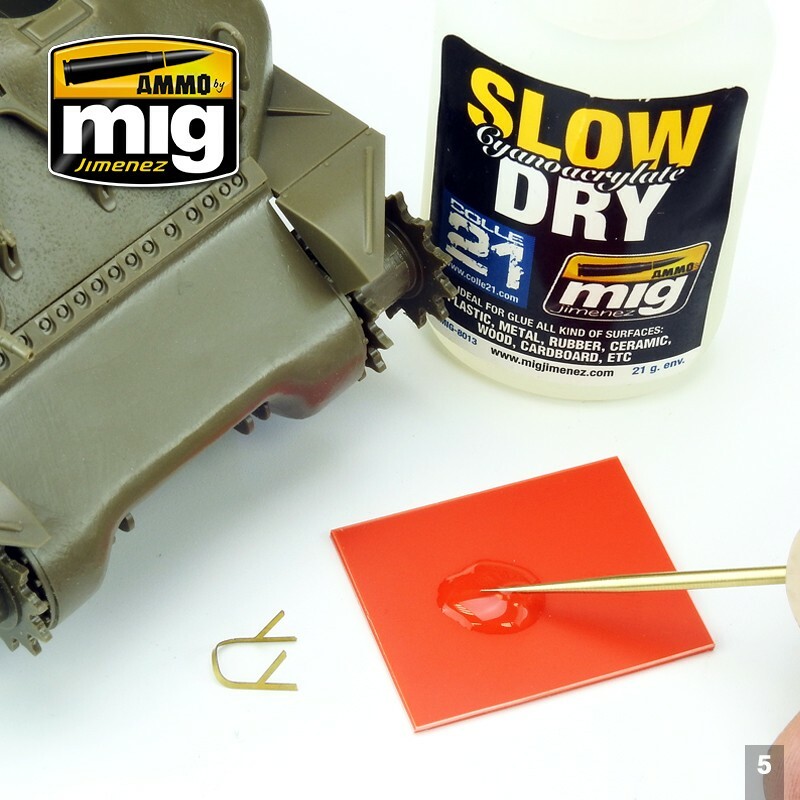 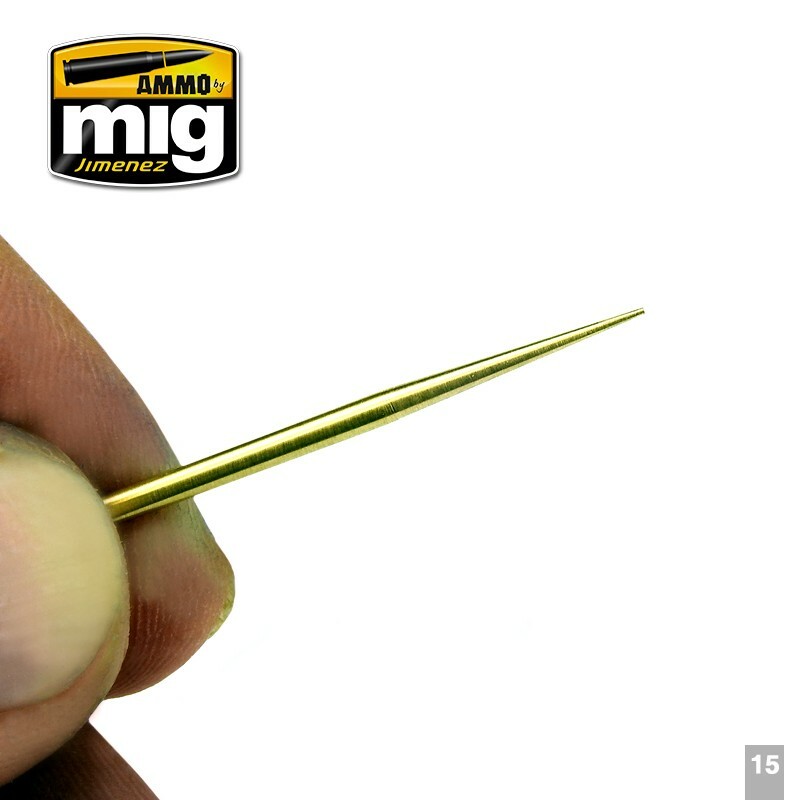 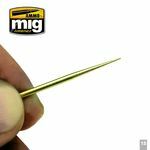 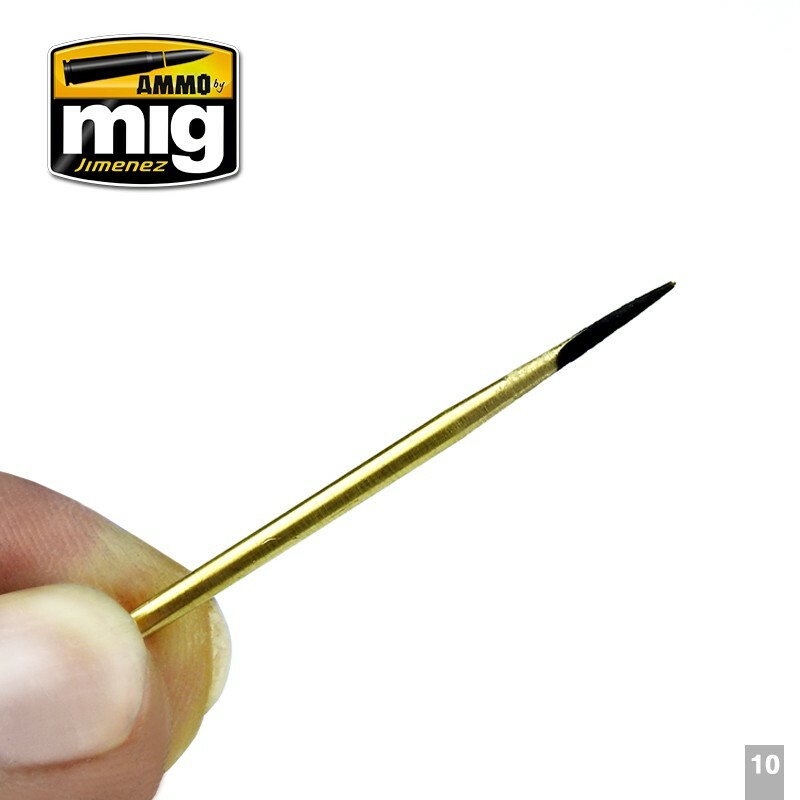 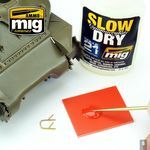 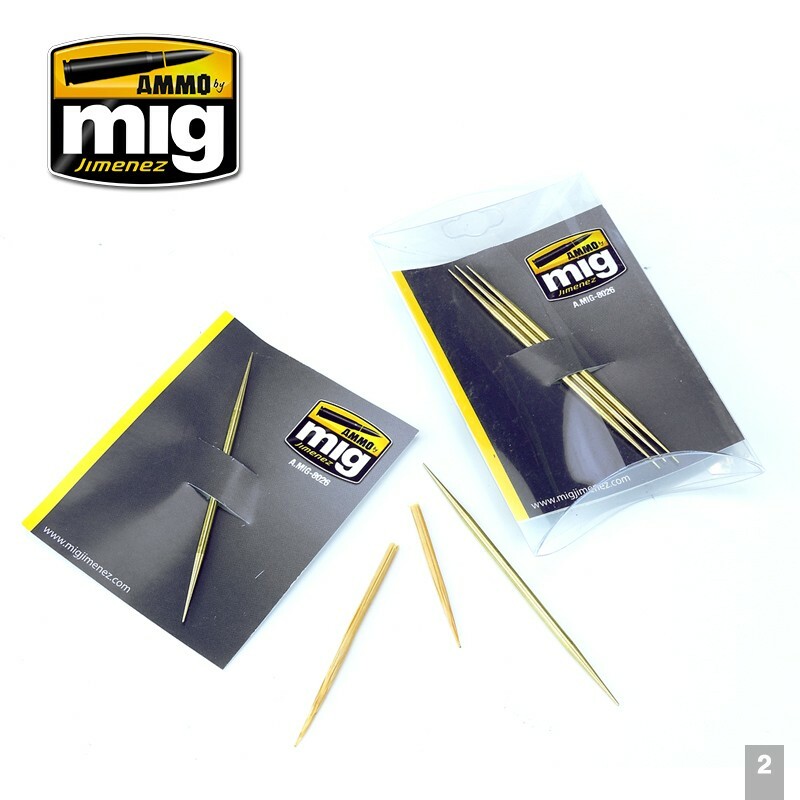 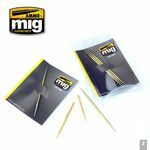 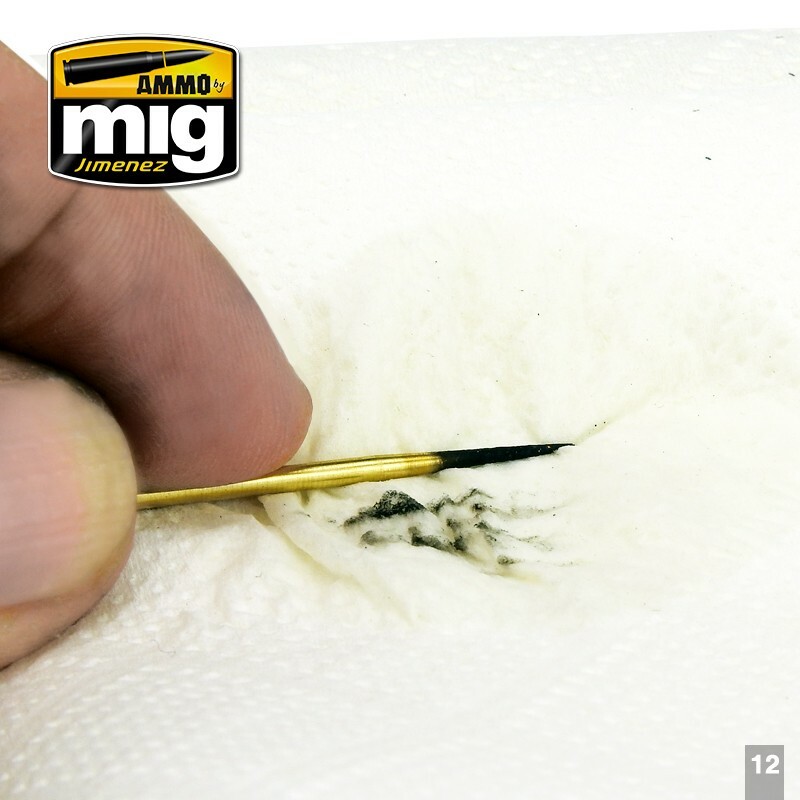 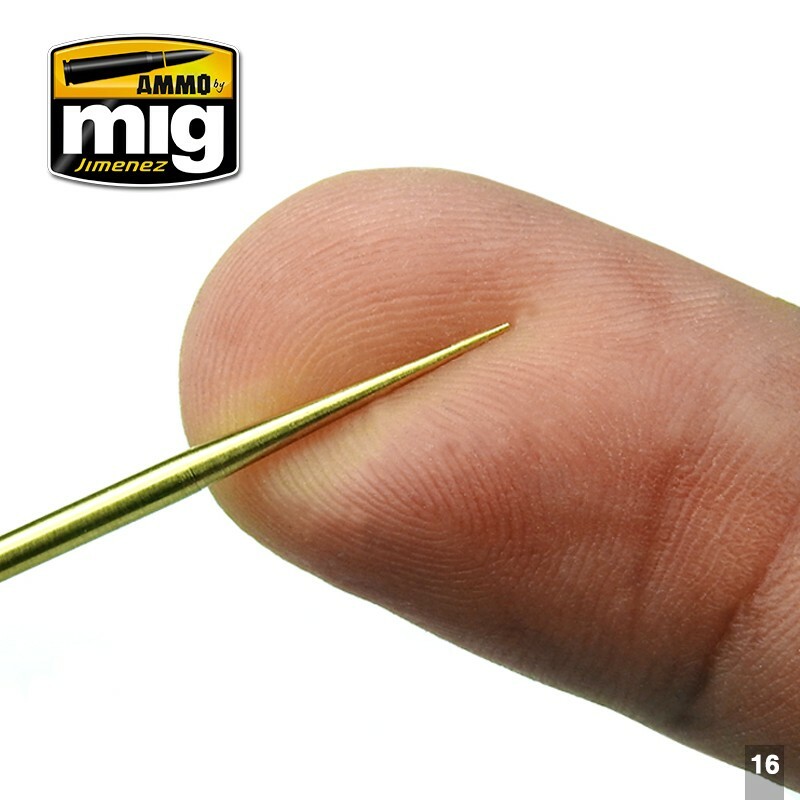 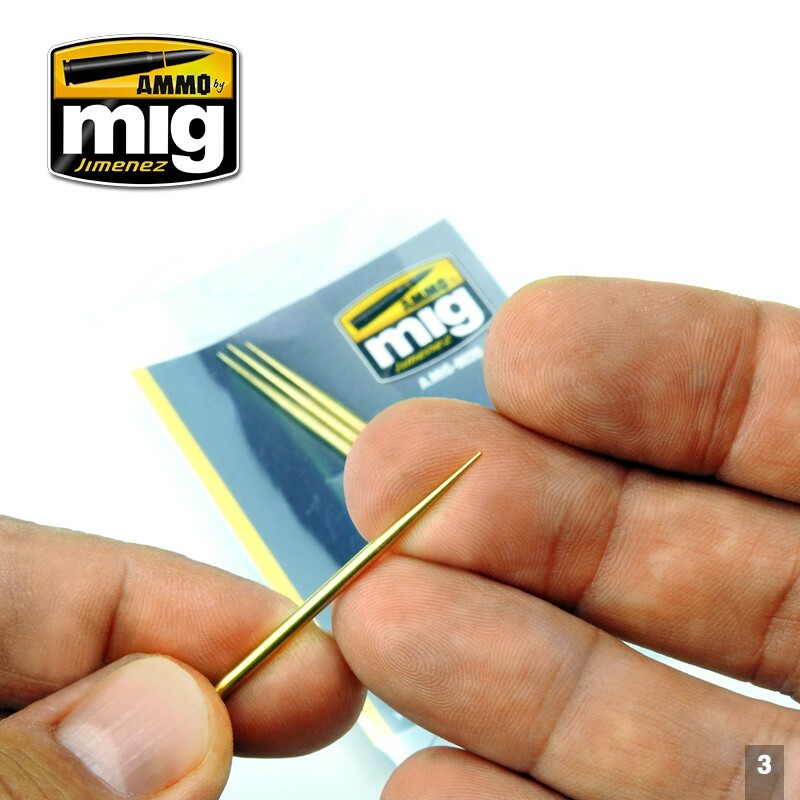 This tool also allows you to simulate small scratches and chips on painted surfaces, a must have when working with Scratches Effects (A.MIG-2010) and Heavy Chipping Effects (A.MIG-2011). 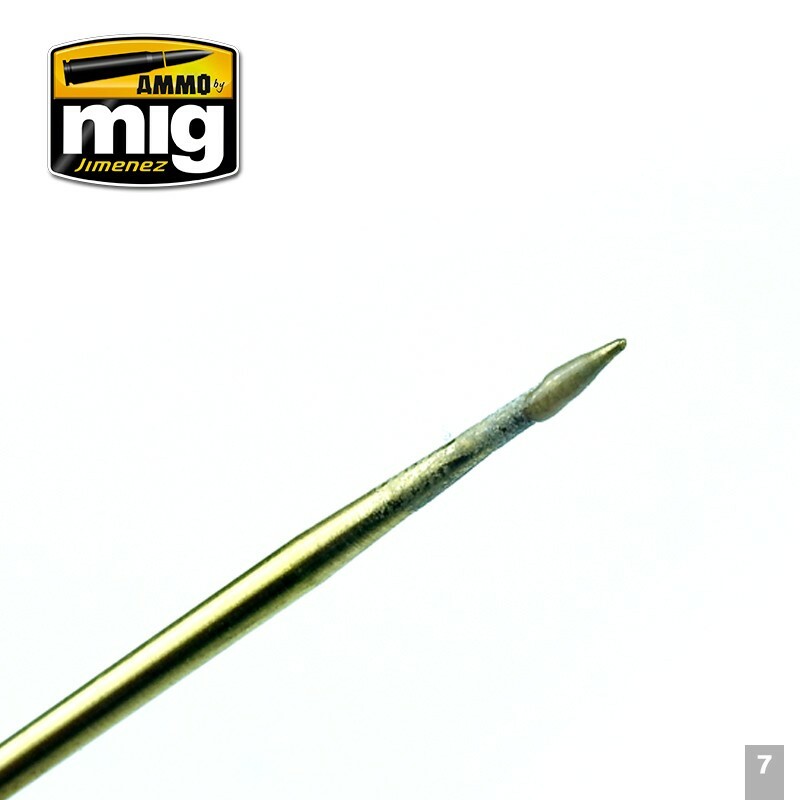 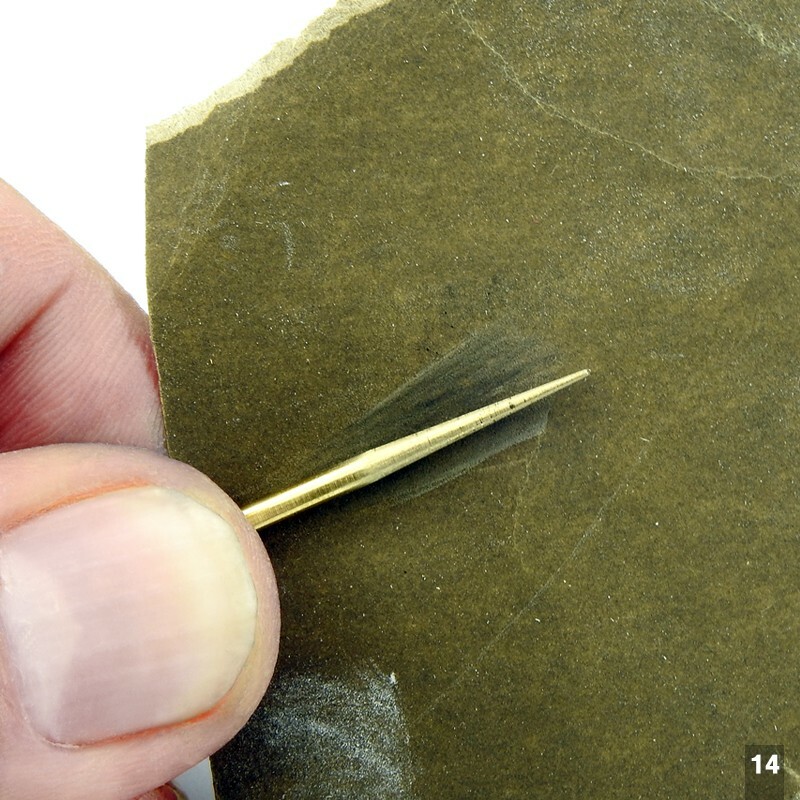 Thanks to its rigidity, we can also use it as a punch to engrave panels, registers, or rivets. 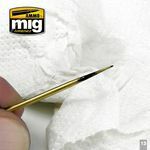 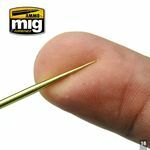 Some of the most useful modeling tools are simple, this is a must-have for both construction and painting.